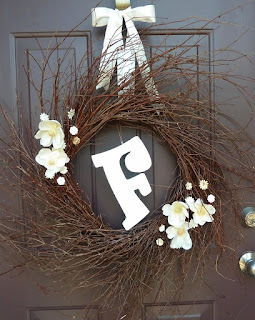 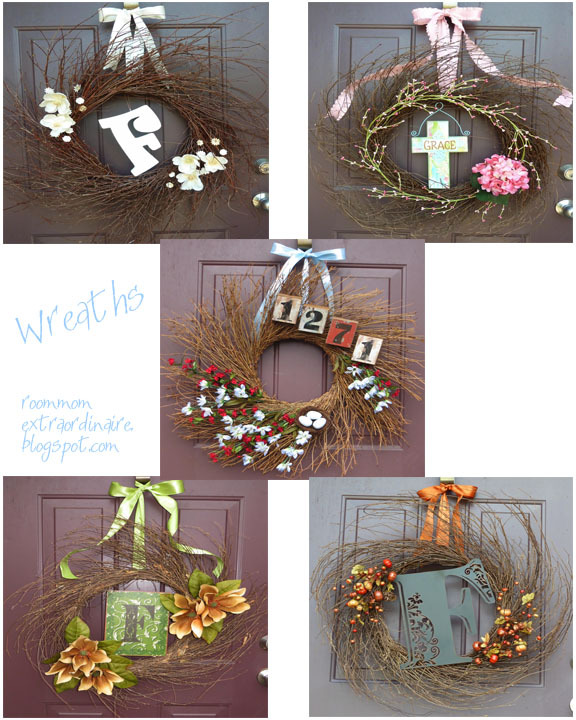 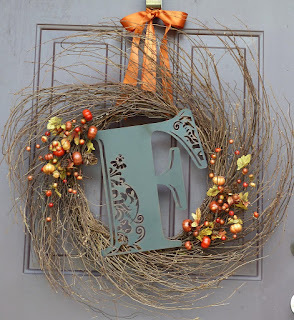 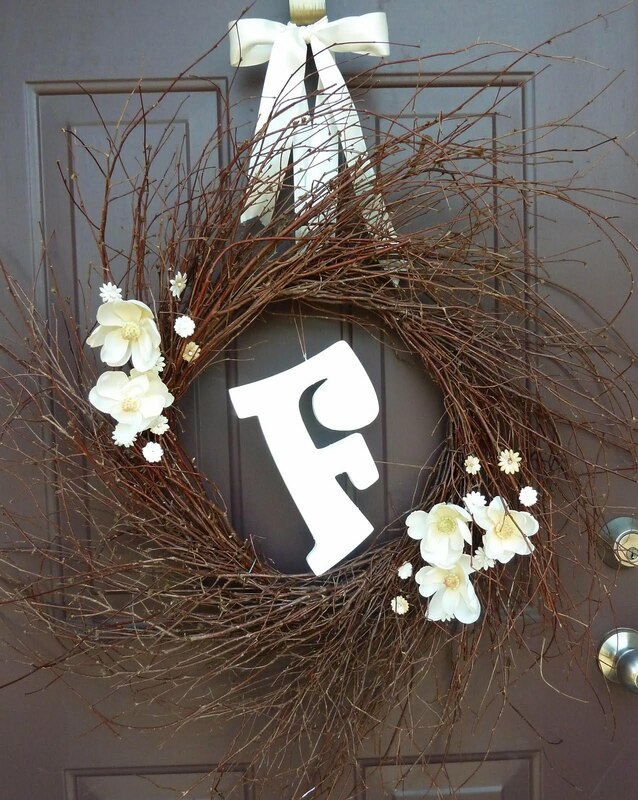 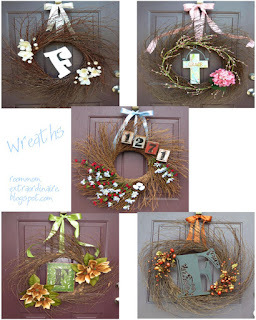 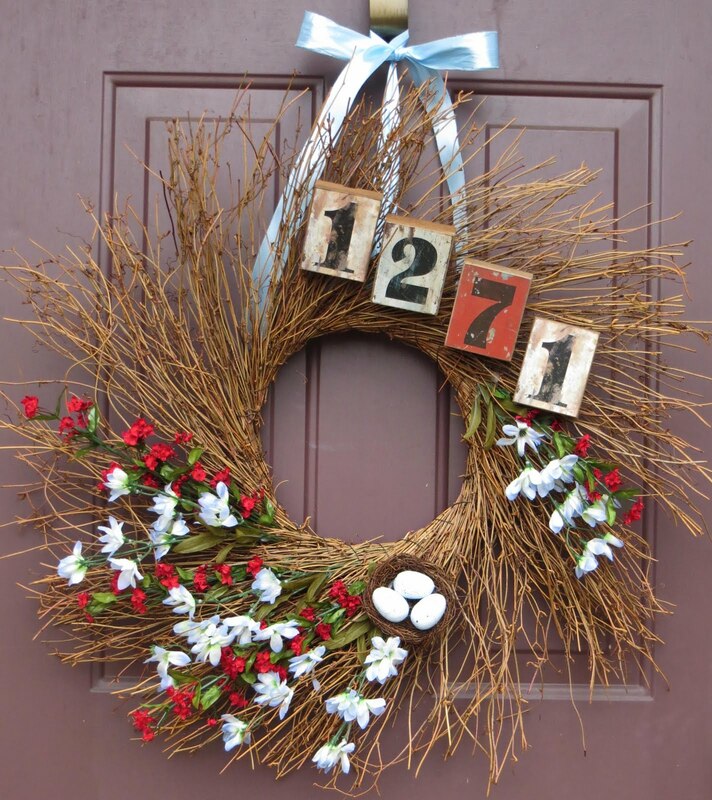 This past year, I've used one standard wreath idea and adapted it for each season. 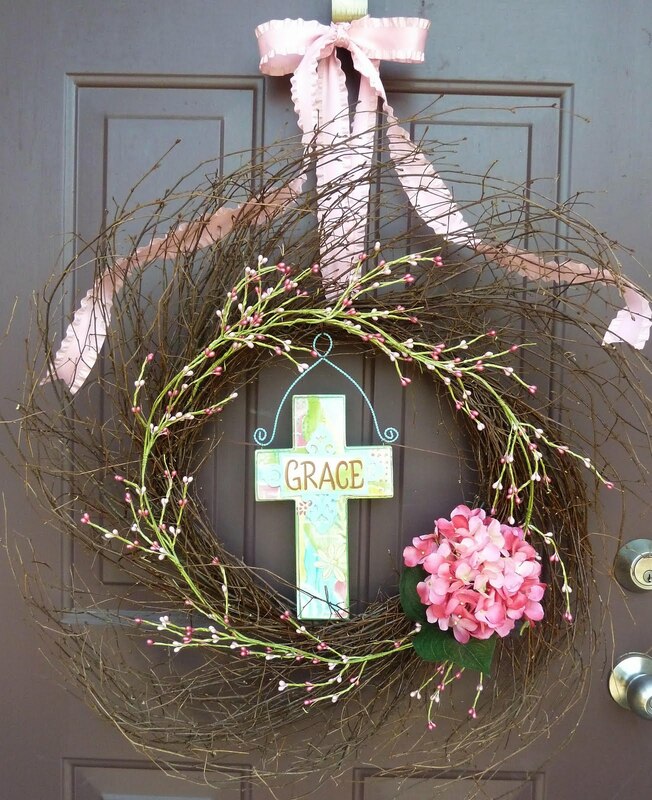 I buy a grapevine wreath at Michael's (using the 40% off coupon) then add season-appropriate embellishments and a matching satin ribbon. 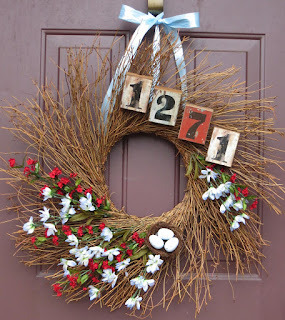 Cute and very easy! I either poke the embellishments into the wreath or hot glue them on. 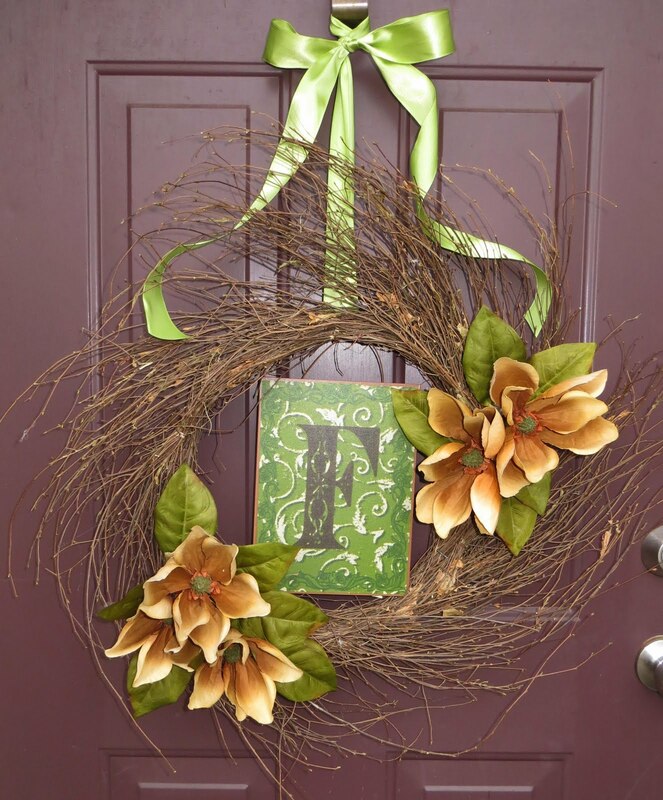 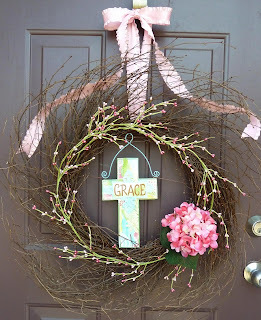 I use twine that matches my door color to tie on the center embellishments so that they won't bang against the door.